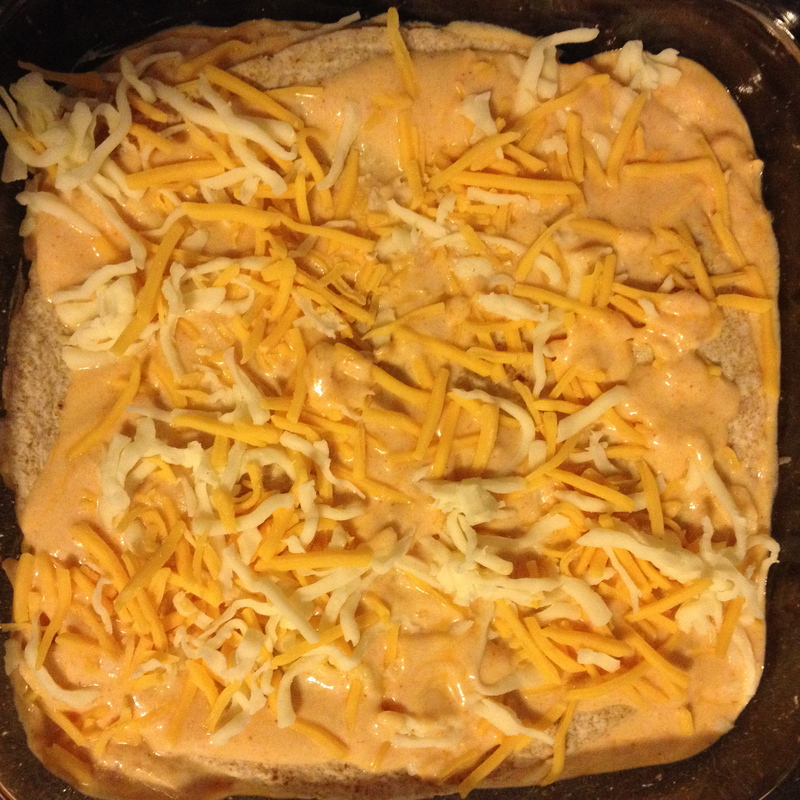 Long before I started weight watchers, my husband and I would make these amazing creamy chicken enchiladas. Gosh, they were good. 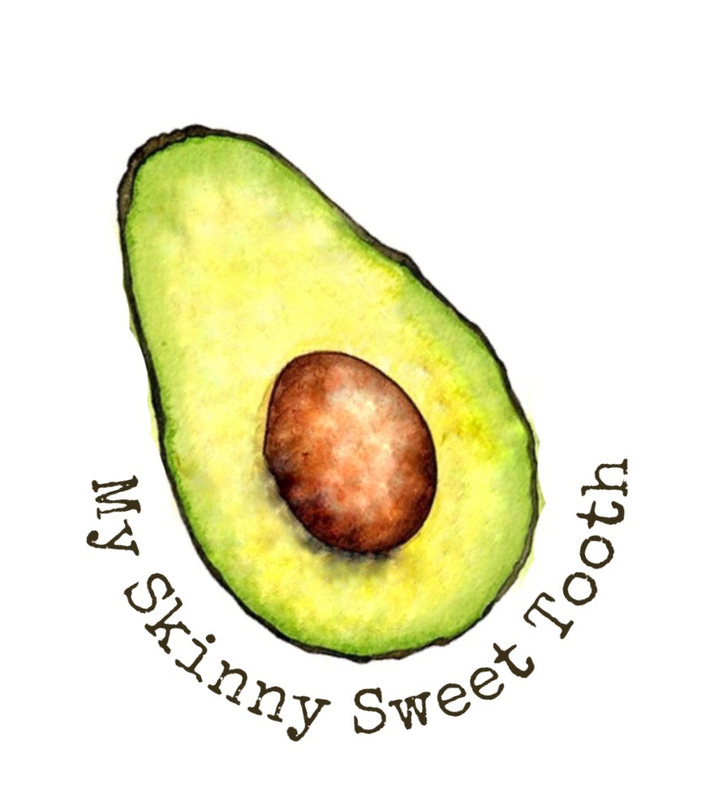 Cheesy, creamy, and probably a bazillion weight watcher points (but so worth it … back then at least) Plus, I knew this day would come; the day where he’d say,”Hey! 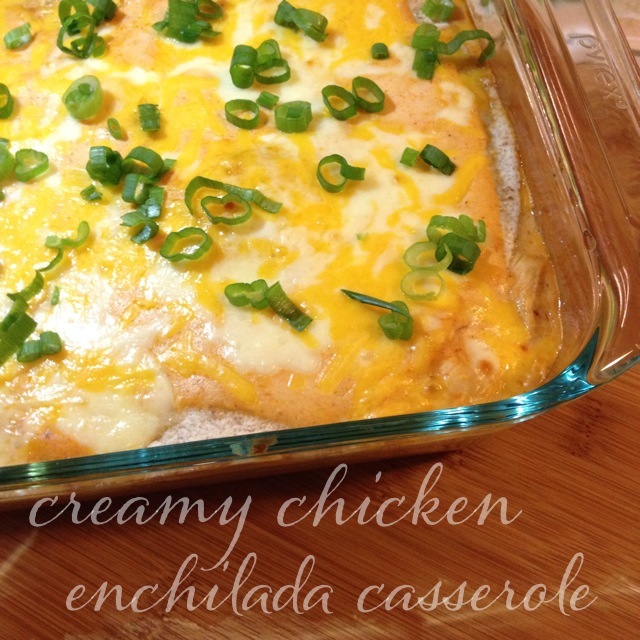 Let’s have chicken enchiladas this week.” Yeah, ok. *eye roll* … another meal that I can’t eat. … or can I? 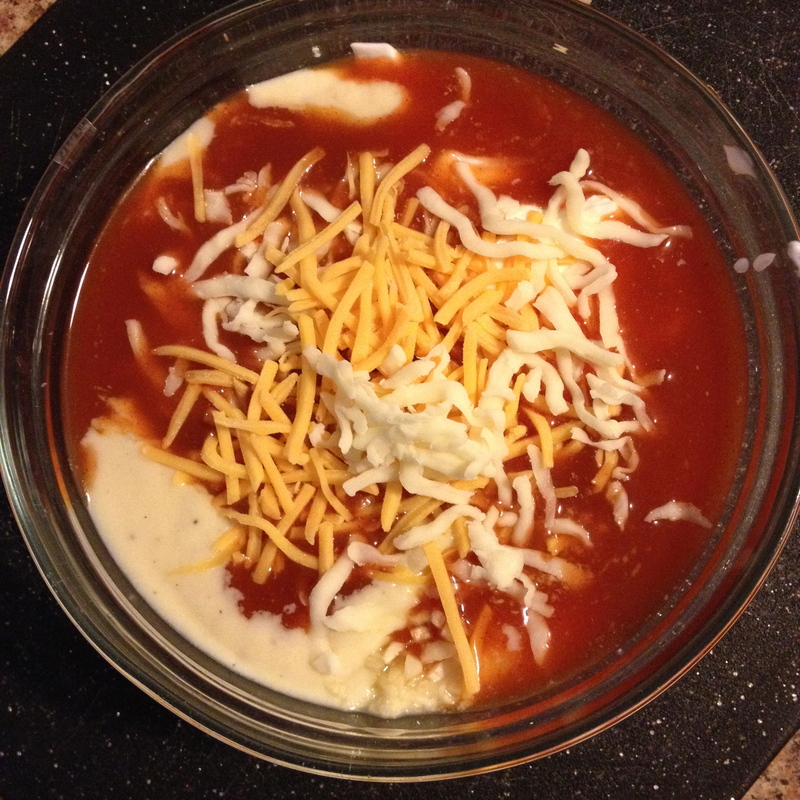 In a large bowl, combine cream of chicken, greek yogurt, enchilada sauce, garlic, cumin, 1oz cheddar and 1oz mozzarella. 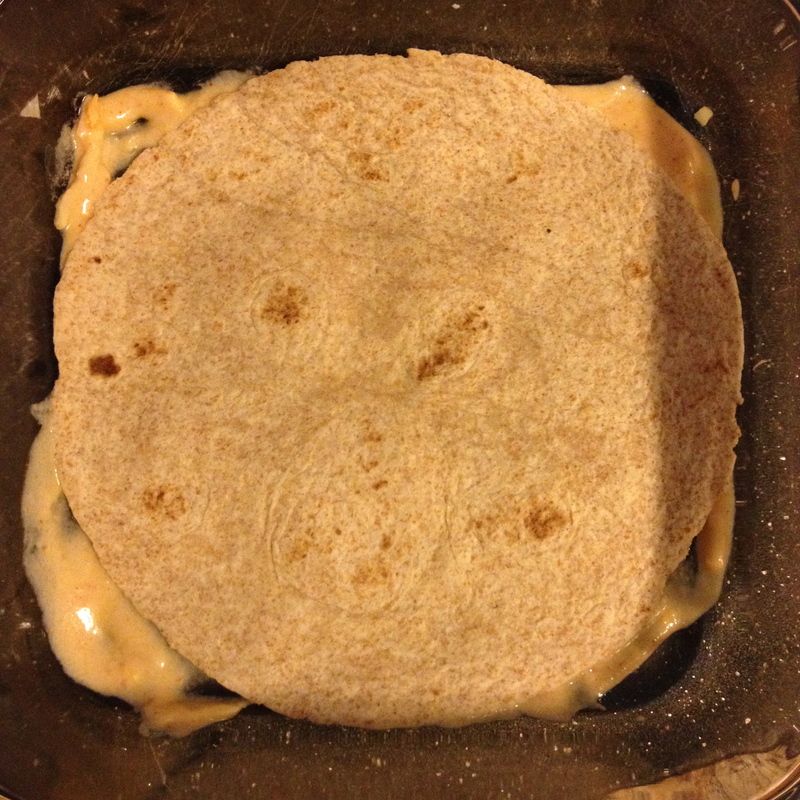 In a 9×9 baking dish, spoon a little bit of enchilada mixture on the bottom to prevent sticking and lay 1 tortilla down. 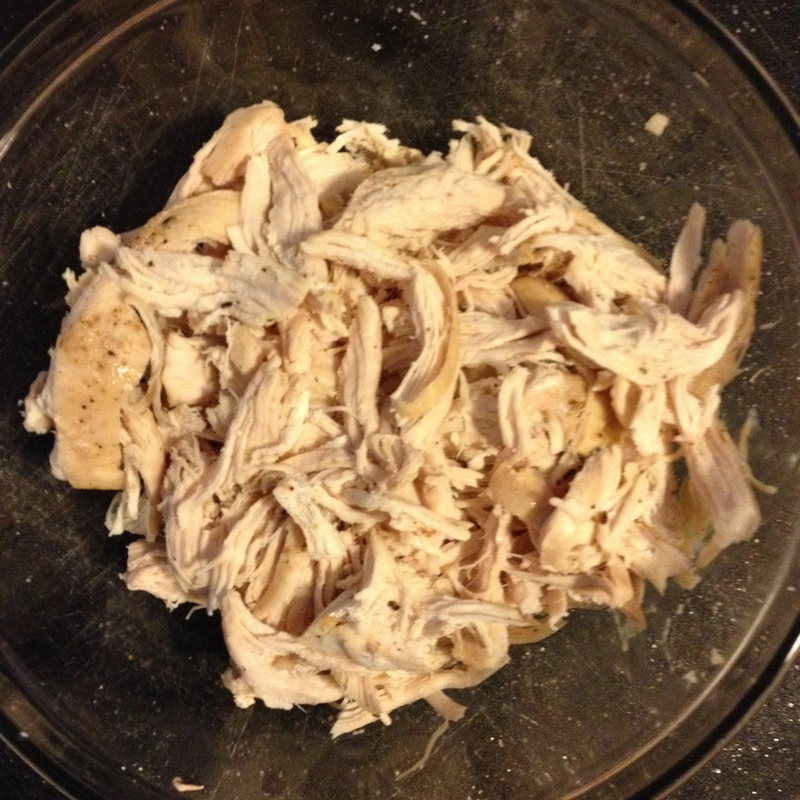 Top with 1/3 of chicken mixture. Repeat two more times & top casserole with remaining cheese. Bake for 30 mins. If needed, broil a few minutes to get a nice brown top. Remove from the oven and let cool for 5-10 minutes for the casserole to set up. Serve with sliced avocado, salsa, hot sauce, a dollop of greek yogurt, and scallions (for additional point values, of course). *I’ve added the option of using the canned cream of chicken in the recipe rather than just suggesting the homemade kind. 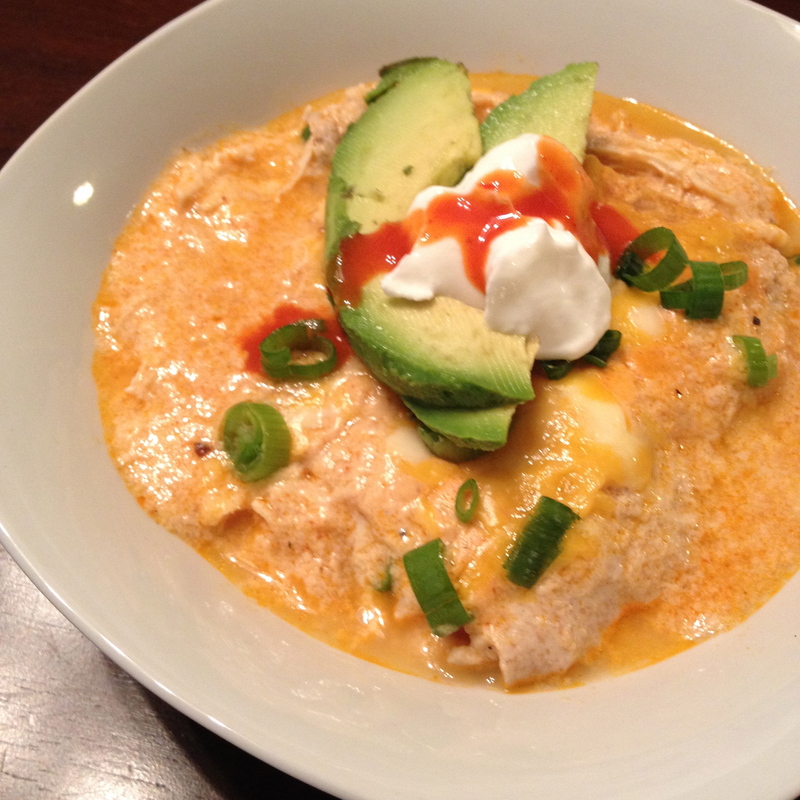 Mine seemed to be a bit runny, but I believe it was the fact that I used the homemade cream of chicken. 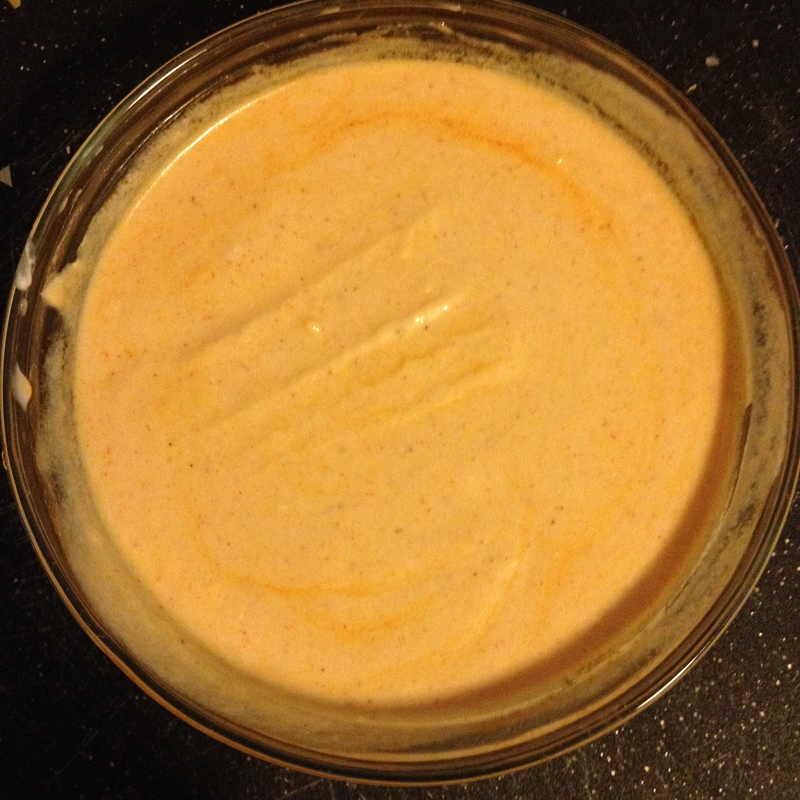 By using the condensed canned cream of chicken, it is a lot thicker and will help! So, feel free to use the canned at no additional points. Really enjoyed this dish! Lots of flavor. Hi.. I made this for Dinner last night it was delish tasted just as good if not better then the real thing. It was a liitle runny but I don’t mind that.. Also had it for lunch today and it was alot less runny so I would suggest letting it sit a little longer. Thanks for this great dish! I’m so glad you liked it! Mine was runny too, which was why I put a little side note at the bottom of the post. 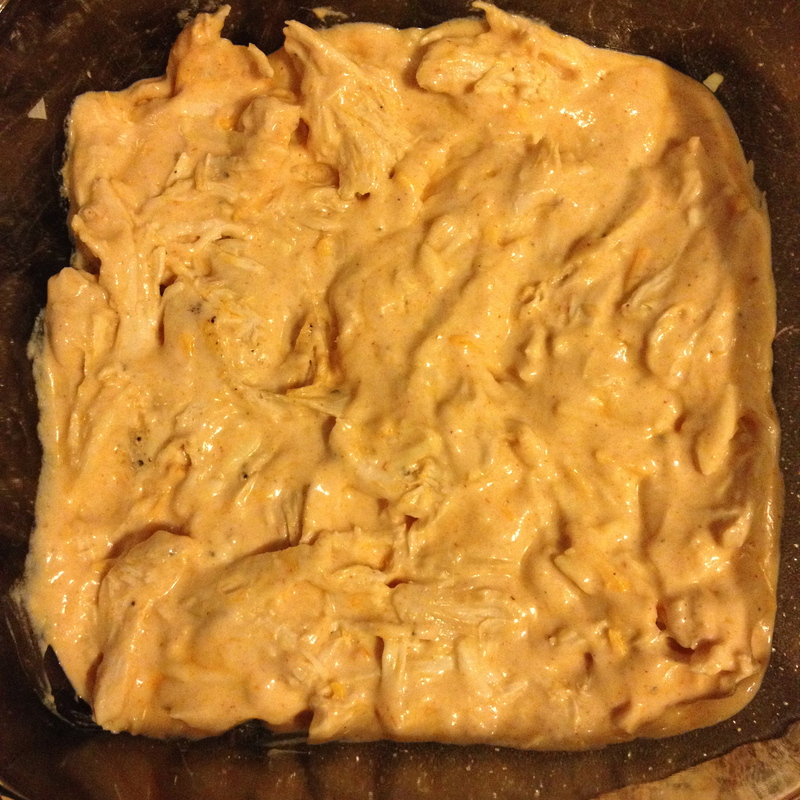 Did you use the canned or homemade cream of chicken? I’ve made it before using the canned and it was fine, but the homemade one gave me that issue. 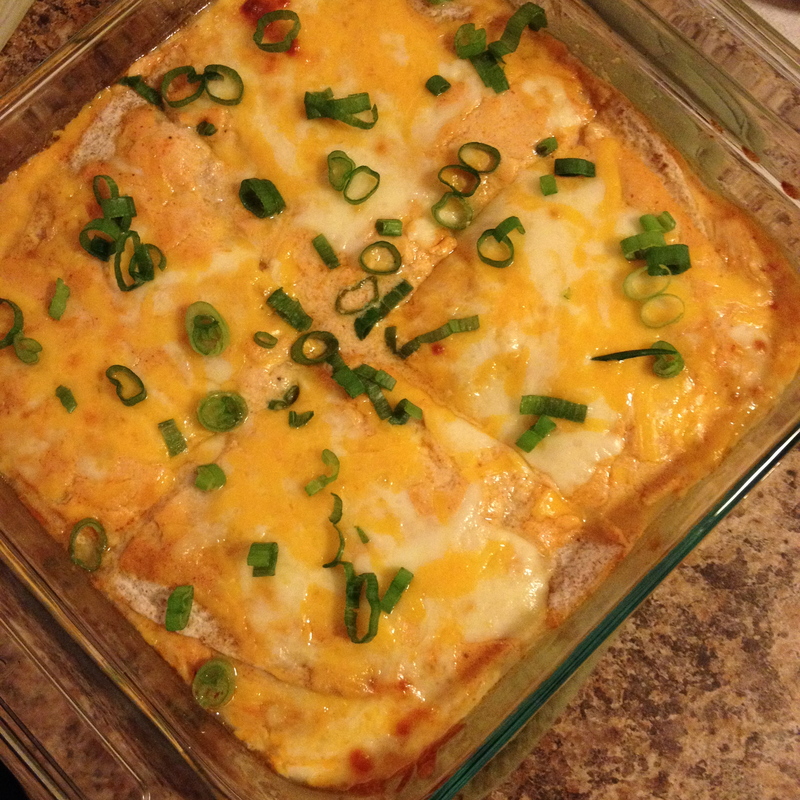 Still delicious, but I like my enchiladas more set up, haha. I’d love to know what you used 🙂 And I couldn’t agree more that the leftovers are so much better 😉 Thanks for sharing! So glad you loved it! This is a recipe I need to remake again. Love the additions you added, too!